Deb is an accomplished organization development consultant combining strategic planning, executive coaching, organization effectiveness and leadership development expertise. As Senior Consultant for The Executive Edge®, Deb works with individual leaders and teams to enable organizations to maximize their human capital. Deb effectively partners with all levels of clients, from managers to executives, to develop solutions that address their specific business needs. 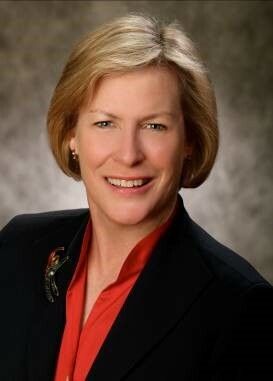 She has worked with a diverse group of clients including, Abbott Laboratories, Bridgestone Firestone, Follett, Harris Bank, Leo Burnett, McDonald’s Corporation, Motorola, Inc., NVIDIA Corporation, The Orlando Magic, Quest Diagnostics, Sony Electronics, Inc., Tupperware International, Tribune Company and University HealthSystem Consortium and WOMEN Unlimited. Deb's book, Good Things for a Full Life, contains 40 life lessons that have helped her create a full and satisfying life, and will inspire others to be more intentional in creating their own full lives. “Deb Hornell is the best listener I have ever met. She tells you what you need to hear not what you want to hear. Very good at grasping thoughts not always expressed in the clients words. Deb is talented at breaking down outer layers to make the client a better person. Patience is a gift and Deb has it.” - National Sales Manager, Huskie Tools, Inc.
“Deb’s approach to providing her proven expertise in the area of leadership development is one of creating a mutually beneficial partnership with her clients. Deb does not offer a “one size fits all “process. She specializes in working with clients to identify their needs and provides customized offerings that result in meeting or exceeding business objectives. Her very engaging style and experience would be an asset to any organization with whom she partners.” - Founder, WOMEN Unlimited, Inc.
Deb has been nominated for an Outstanding Supplier Award by The Chicago Tribune Company and is often asked to speak on leadership issues, career planning, and strategies to develop and promote high potential women in the workplace. Deb holds a B.S. in Education from Indiana University and an M.S. in Management and Organizational Behavior from Benedictine University. She is a member of the Chicago Regional Organization Development Network and the International Organization Development Network. She also serves on various not-for-profit boards in the past. Deb is an avid gardener, and achieved certification as a University of Illinois Extension Master Gardener in 2009. She and her family live in the west suburbs of Chicago, and enjoy travel, golf and biking.